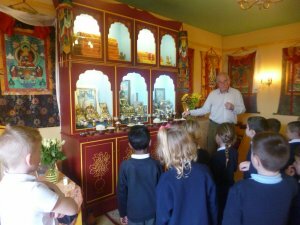 In Y2 our RE question was to find out about Buddhist symbols and also what happens inside a Buddhist Temple, so we made a trip to the Lam Rim Buddhist Temple in Bedminster. 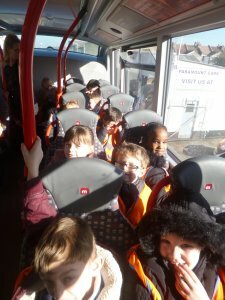 Our visit was made more exciting by the fact that we travelled by bus instead of a coach! 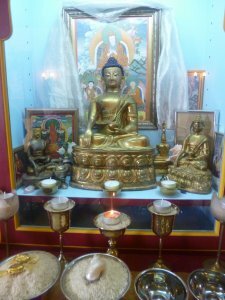 Mike, one of the volunteers at the centre, showed us round and gave us a great insight into the different parts of the shrine room and the teachings of Buddhism. 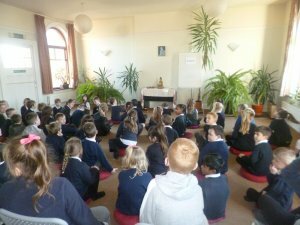 Thanks again to our parent helpers.